Lunch is an important part of your day — a break from your busy schedule and a chance to refuel for the rest of the day’s work or activities. Here at Tamarind Indian Cuisine, we want to help make lunch an incredible experience again, which is why we started our lunch buffet at our Indian restaurant. Conveniently located in Potomac Run off Highway 7 and offering an assortment of gourmet Indian food, you can escape from your responsibilities and indulge in the authentic flavors. Whether with family, friends, or coworkers, we offer an incredible atmosphere for a truly one-of-a-kind lunch destination in Sterling, VA. 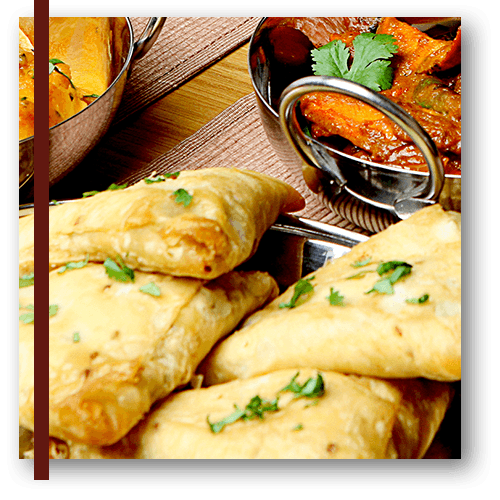 Learn more about our lunch buffet below, then stop by this week to try our authentic Indian dishes for yourself! Monday – Thursday: 11:30 a.m. – 2:30 p.m. | Friday – Sunday: 11:30 a.m. – 3:00 p.m.